In a new commercial for underwear brand Under.me, Bar Rafaeli struts through New York City in a Santa Claus outfit before returning to her apartment and slowly stripping to reveal her Under.me undergarments. Shot in black and white, the ad promotes the brand's 20 percent off Christmas sale. We don't mean to be nasty or anything or rap some knuckles like an old school teacher might do but, really, Cisco? Really? Cisco is changing its tagline from Human Network to Tomorrow Start Here and Goodby, Silverstein & Partners is helping them do so. A new commercial, which touts how the internet has and will interconnect all of us, plays like it could have aired in 1998 at the cusp of the internet boom. Now granted, we were a bit obsessed with idiotic ideas like Flooz, Boo, iSmell, CueCat and iLoo but even in 1998, the internet pretty much already connected everything. What the Hell Are These Guys Excited About? The celebration of Christmas is usually filled with images of snow falling, sleigh rides, reindeers and all manner of winter wonderland. And while some Australians pine for that, grocery chain ALDI, with help from BMF. 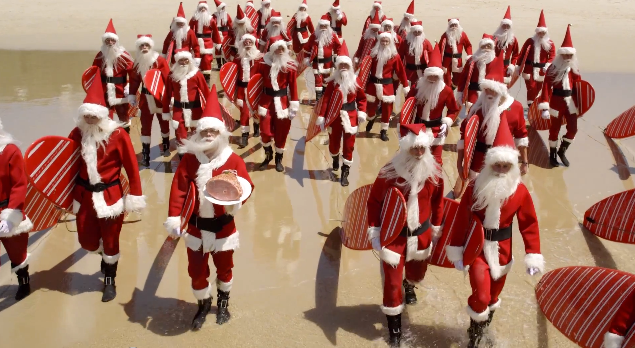 wants Australians to realize what they have right in their own backyard; sun fun and, yes, Surfing Santas. Of the work, BMF ECD Carlos Alija said, "A lot of Australians think the European Christmas is special, more magical. But trust us. The grass is not greener. It's actually buried under an inch of ice. Australians have the best Christmas in the world and we wanted to celebrate that by creating a new icon: the Surfing Santa". And, hence, we have surfing santas. Have a look. Ever been at a party or a family event when certain people just won't shut the hell up? They insist upon endlessly prattling on about the most idiotic and mundane aspects of their sorry lives. It's as if these people haven't learned the art of introspection and contemplation. 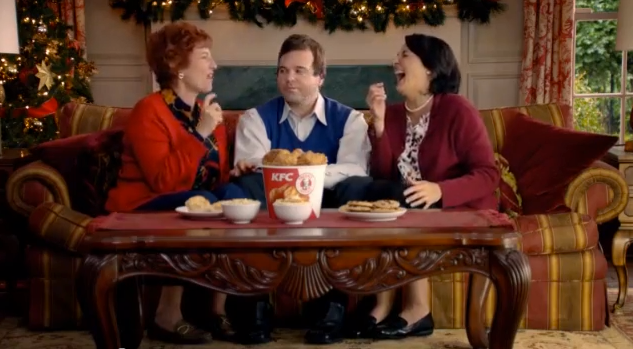 So thank you, KFC, for getting these people to shut the hell up. OK, the kid version is a little cute. In a new ad For Adidas' Neo, Selena Gomez and friends plaster city streets with green streamers and paint, not exactly behavior she'd want her fans to duplicate. Yea, yea, yea, it's just an ad. But so are all those Black Friday ads advocating idiots go bin diving at Walmart. Do we really want a bunch of lemming-like morons doing what Selena does in this ad? The video points to a quiz that offers the taker a chance to win a trip to New York and meet Selena. Here in the States and in many other parts of the world, the period of time between Black Friday and Christmas is when the highest percentage of retail activity occurs. In the some parts of the world, it's a bit different. The Dubai Shopping Festival, in its 18th year, occurs January 3 to February 3 and is comprised of 31 days of back to back shopping events. To hype the event, TBWA\Raad created a beautiful :60 that is the polar opposite of every last bit of crap American retailers puke forth to convince every last idiot in America to go bin-diving at Walmart. In May, New York Yankees pitcher Mariano Rivera tore his ACL ending his career for the season. 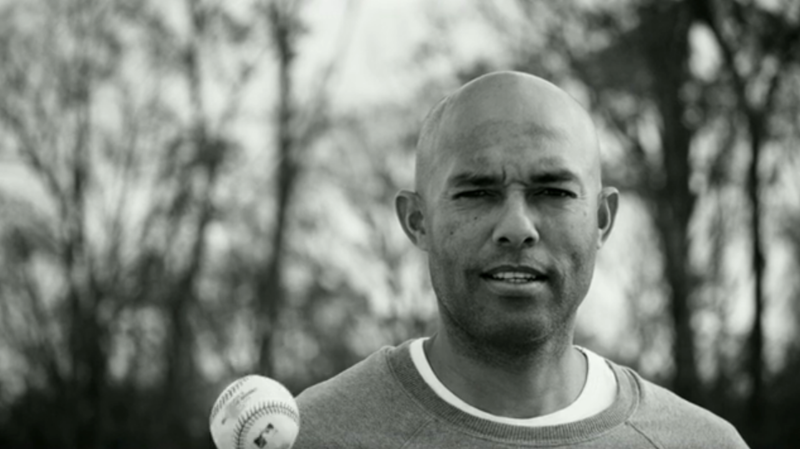 Marking his return to the mound, albeit not in a game, Rivera can be seen tossing a pitch in an ad for his signature version of the New York Yankees fragrance. Apart from the unfortunate fact any baseball-themed fragrance conjures the stench of a post-game locker room, a portion of the proceeds will go to the Mariano Rivera Foundation, an organization that impoverished children in the United States and abroad. 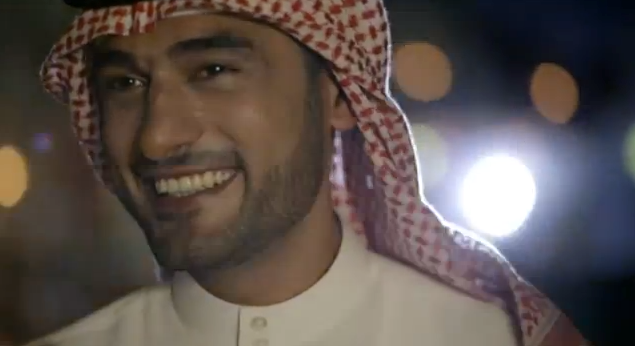 The spot was created by The Cloudbreak Group. Let's not dwell on the fact little in this Cartier Winter Tale makes sense. No, let's dwell on the mood it evokes. The holiday feeling it exudes. The cheerful inspiration in brings. And how it makes you feel like you were curled up in a blanket in front of a roaring fireplace watching your favorite Christmas movie while sipping a cup of hot chocolate. Yes. Let's dwell on that for a moment. And with that, we think it's time to close up shop and celebrate Thanksgiving. In an effort to illustrate just how much flair goes into the creation of its new Spirited Cuisine dishes that are made with whiskey, wine and beer, Applebee's hooked up with 19 time flair bartending championChristian Delpech. 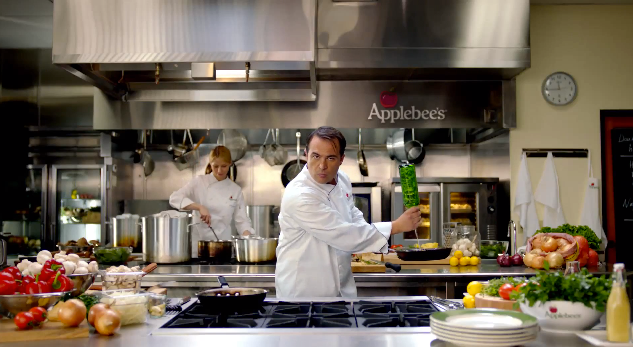 In the ad, created by Crispin Porter + Bogusky, Delpech performs all manner of acrobatic cooking wizardry flipping bottles, utensils and ingredients while a voiceover reminds us it's really cooking skills rather than bartender flair that goes into making Applebee's dishes delicious.